Western Digital has announced the release of the world’s thinnest 2.5″ hybrid drive. Targeted at Ultrabooks, the drive will weigh in at a mere 5mm thick, undercutting even the thinnest 7mm drives currently on the market. The new products will deliver up to 500GB of storage space and will be conducive to systems with severely cramped quarters. The drives should be available any day now from multiple notebook vendors, with Acer and Asus being among the first companies to incorporate the devices into their products. 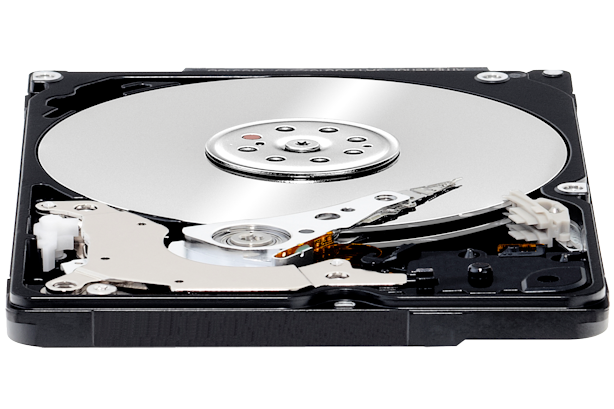 Just when we thought Western Digital had shifted all its focus to magnetic storage, they pull a veritable rabbit out of the hat in the form of a hybrid HDD. And what a rabbit it is… By making a hybrid HDD available in an extra small 5mm form factor, WD has answered the wishes of some of the biggest OEM’s in making it easier for them to deliver unique and innovative designs. By reducing the area taken up by the storage component, WD has done just that and I’m sure Acer and Asus are only the first of many in the industry who simply can’t wait to get their hands on WD’s new offering. In delivering a combination of HDD capacity and SSD speed, they are providing both companies and consumers the best of both worlds and are helping to facilitate ever lower prices in what has been, from its inception, a very cutthroat market. Of course, this can only mean good things for consumers, as they can be sure that costs will be kept as low as possible. Another aspect about this release that helps reduce prices is the fact that WD’s solution is completely self contained, allowing manufacturers to do away with the apparent mainstay that is SSD caching software. In addition to lowering costs, Western Digital’s new drives may also offer certain speed benefits over a software based solution, though any real world performance advantages will no doubt be directly linked to the size of the integrated cache. It’s true, if WD plays their cards right, they may just be able to give competing products, such as the Momentus XT, a run for their money. Also, by utilizing a completely hardware based design, notebook manufacturers make it easier for their customers to utilize alternative OS’s such as Linux and Mac OS X (I wonder how that would work? 🙂 ), while at the same time, eliminating any hardware compatibility issues that might crop up when using SSD caching software. All in all, it appears that Western Digital is dead set on cementing its position as a major player in the Ultrabook storage sector. By releasing a small yet formidable hybrid HDD, they have all but stated their objective to pull out all the stops in their bid to take over the portable/ultraportable segment, and have put the the industry on notice. Along with Seagate, Western Digital is one of the last remaining original players in the magnetic storage industry. Unlike many new comers, WD has all the resources they need to really make their presence known. They’ve demonstrated their ability to adapt and now are intent on establishing themselves as a preeminent solution provider in this newly evolved market. I have to say, based on this latest release, it seems WD just re-affirmed their alpha status. You gotta love survival of the fittest!